This Outdoor Kitchen installation has a clean and spacious design. With plenty of beautiful granite counter space, there is enough room for entertaining while you are cooking. 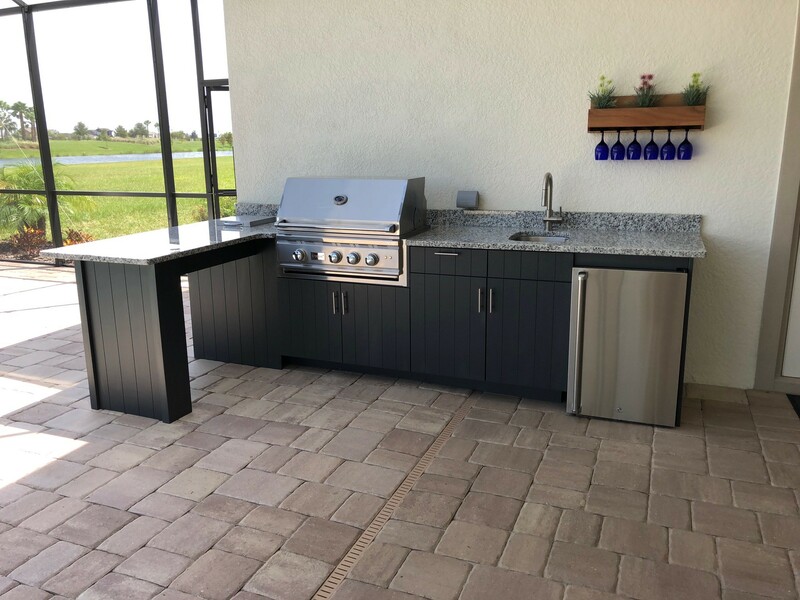 The Summerset TRL grill features LED front panel lighting, stainless steel U-tube burners, and 18,000 BTUs (each burner).